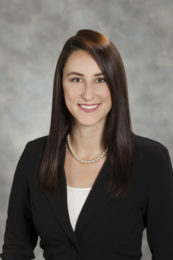 Kristilee Chihos is an Associate in Dean Mead’s Real Estate department. She focuses her practice on real estate transactions, leasing, land development and financing. Her commercial and real estate lending practice includes representation of lenders and borrowers in negotiating, structuring and documenting real estate acquisition, development and construction financing, as well as working capital and general corporate loans. Prior to joining Dean Mead, Ms. Chihos was a legal intern for Wyndham Vacation Ownership, Century Communities, Chattahoochee Riverkeeper, and The Law Offices of Barry Miller.